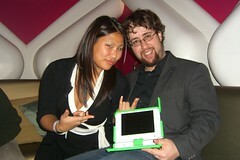 If you know me, you know that I’m a HUGE supporter of the One Laptop per Child (OLPC) initiative. Here in Washington DC, Peter Corbett and friends are throwing the Technoliday Party. It’s a holiday party where the proceeds from the event go to support OLPC and the work that they’re doing around the world. 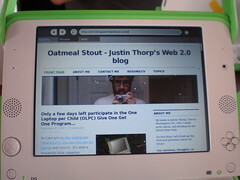 Support OLPC and attend the Technoliday Party. By the way…while you’re getting your check book out to support One Laptop per Child, watch some of the BBC’s awesome videos about OLPC project. Masi Oka, who we commonly know as Hiro Nakamura from NBC’s TV show Heroes, has recently filmed a TV commercial for One Laptop per Child’s (OLPC) Give One Get One program. 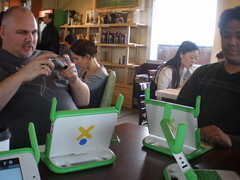 Check out the commercial and donate to OLPC.